Christmas is a magical time to spend time together with our beloved ones: partners, friends, family and every person we appreciate. There are plenty of meetings where we get together with people we hadn’t seen for a long time. Happiness and joy are present all along these familiar parties. All around the world, there are different cultures which celebrate Christmas in varied ways and with all kind of names and traditions. In Philippines, they celebrate Giants Lanterns Festival, an evil demon called Krampus in Austria or naughty Yule youths in Iceland are some examples of these great wide of traditions. Today, we are going to talk about best Christmas traditions in Barcelona. In fact, there are many Catalan traditions which are part of their cultural heritage and, for sure, will surprise you. 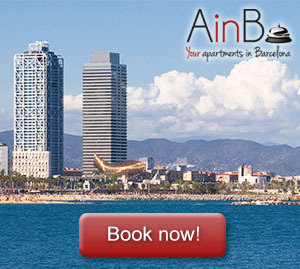 Here we present some of them you can’t miss when you live in Barcelona. Christmas markets are a beautiful tradition to live in Barcelona. There, you can find a wide range of traditional handcrafted products and gastronomic delights. In Christmas time, it is common to fight against cold with some hot chocolate and churros or roasted nuts. Other typical delights are local nougats and bonbons. But be careful! Once you taste one piece, you won’t be able to stop! Two of the most famous Christmas markets in Barcelona are St. Llúcia and Sagrada Familia Markets. The first one is located just next to Barcelona’s Cathedral: an astonishing scenario where we can live this especial Christmas experience. On the other hand, we can find Sagrada Familia Market next to the famous temple designed by Antonio Gaudí, just some minutes away from this design studio in Sicilia street. The first tradition we just explained is probably common to other countries. But we assure you that you have never heard something similar to the tradition we are going to talk about right know. In Catalonia, Santa Claus is not the one who delivers presents to the kids, but a magical log called Tió de Nadal. The tradition starts on 8th December, when people take the Tió in their homes. There, they give him some food and cover him with a blanket so as not to get cold. After that, in Christmas Eve, children beat the log with sticks while they sing Christmas songs and, eventually, the Tió surprisingly “defecates” presents and candies under his blanket. The literal translation is “The Shitter”. Now you are probably asking yourselves: Are we talking again about defecation? The answer is “yes, we are”. Caganers are figurines of people with traditional Catalan clothing depicting the act of defecation. This is an old tradition that comes from the 17th Century, when they started to include this figure in nativity scenes. It was supposed to bring good luck. 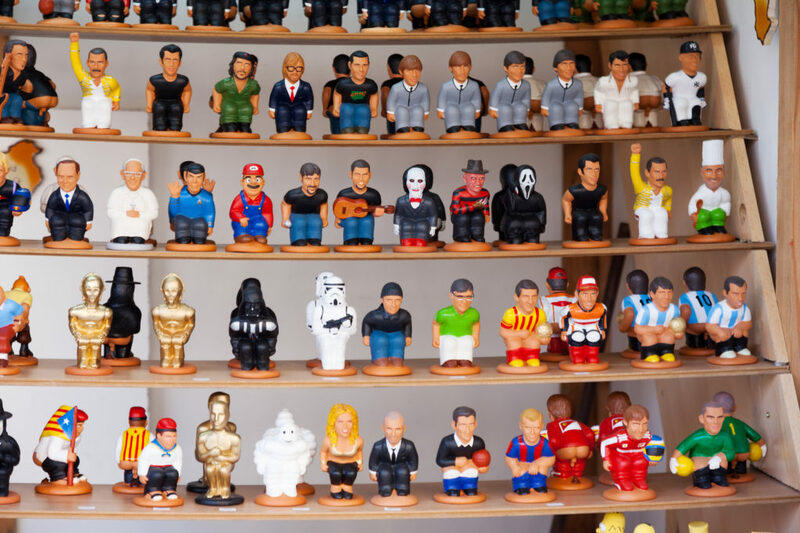 Nowadays, there are Caganers inspired in all kind of famous characters: catholic figures like the Pope; Spanish and international politicians such as Rajoy, Angela Merkel, Obama or Donald Trump; athletes like Messi, Pau Gasol or Tiger Woods; science fiction characters like Chewbacca, Harry Potter or Darth Vader… we can find Caganers figures of almost everybody! So, when you live in Barcelona, don’t forget to go to the nearest Christmas market and get your Tió de Nadal and Caganer and be part of this funny and original Catalan tradition.